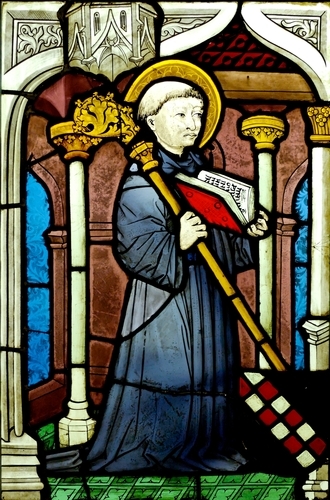 To the illustrious Lord Haimeric, Cardinal Deacon of the Roman Church, and Chancellor: Bernard, called Abbot of Clairvaux, wisheth long life in the Lord and death in the Lord. Hitherto you have been wont to seek prayers from me, not the solving of problems; although I count myself sufficient for neither. My profession shows that, if not my conversation; and to speak truth, I lack the diligence and the ability that are most essential. Yet I am glad that you turn again for spiritual counsel, instead of busying yourself about carnal matters: I only wish you had gone to some one better equipped than I am. Still, learned and simple give the same excuse and one can hardly tell whether it comes from modesty or from ignorance, unless obedience to the task assigned shall reveal. So, take from my poverty what I can give you, lest I should seem to play the philosopher, by reason of my silence. Only, I do not promise to answer other questions you may raise. This one, as to loving God, I will deal with as He shall teach me; for it is sweetest, it can be handled most safely, and it will be most profitable. Keep the others for wiser men.